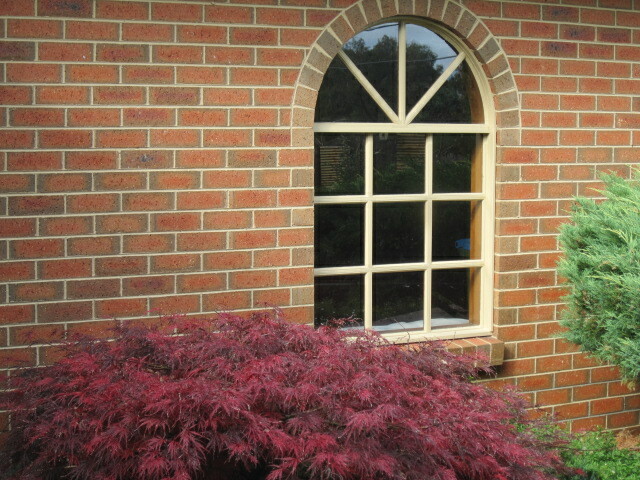 My three beautiful weeping japanese maples, Inaba shidare, continue to delight every autumn, with their vibrant burgundy tones. 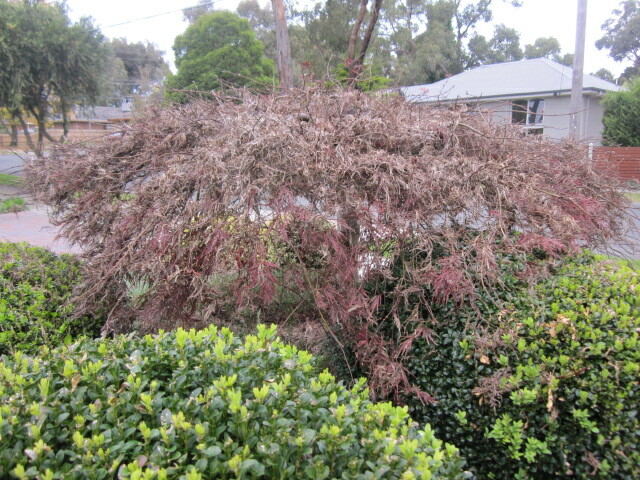 They seem to all be at various stages of colour-changing, though unfortunately the photos do not do them justice. 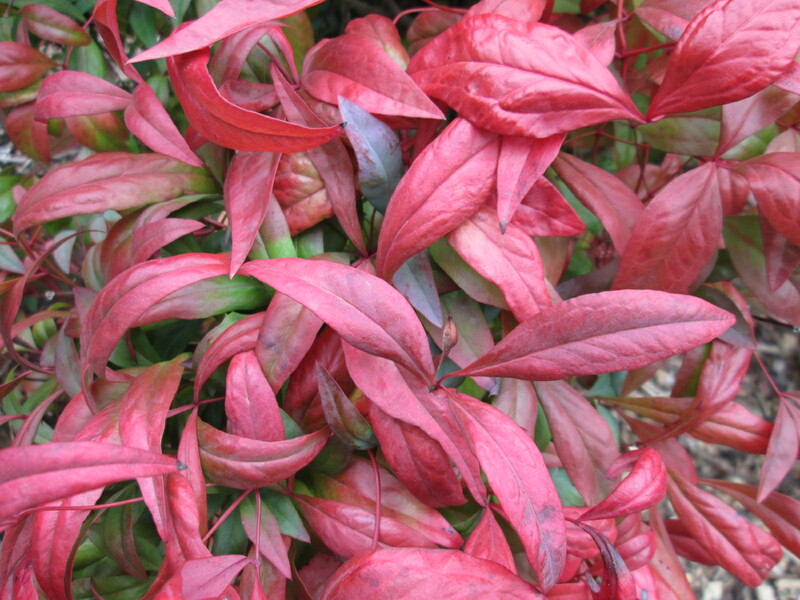 Moving around the garden, there seems to be an abundance of the reddish and burgundy tones, including the delightful nandina. 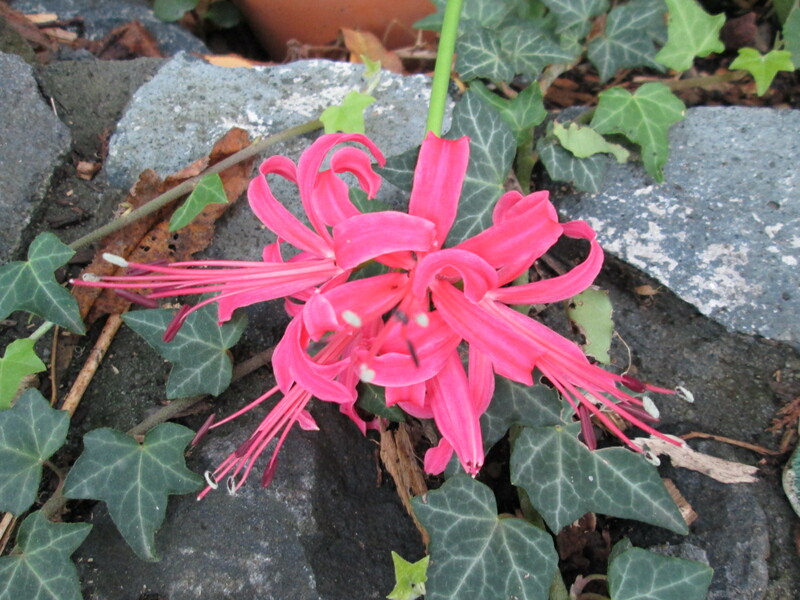 Even some of the flowers are in an analogous colour range, such as the nerines and fuchsia. 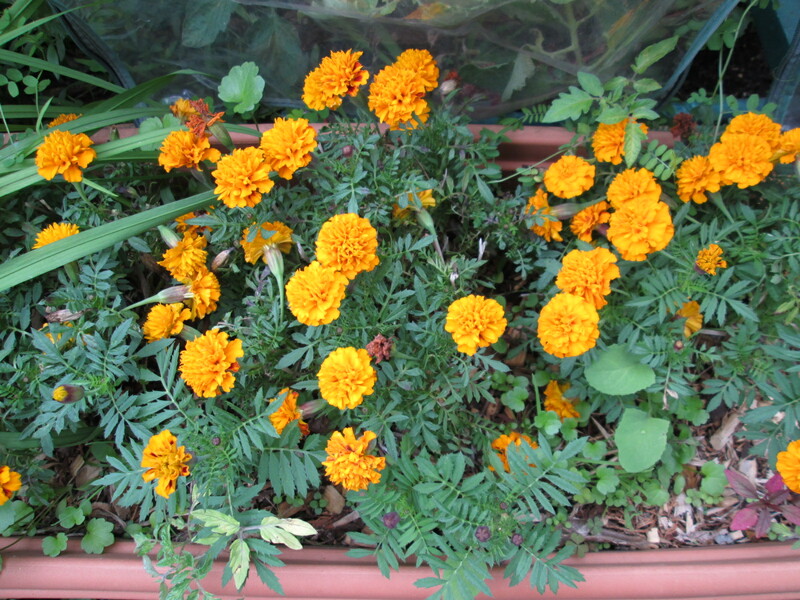 Just when you thought they were all very similar, the marvellous marigolds stand out golden in their contrast. 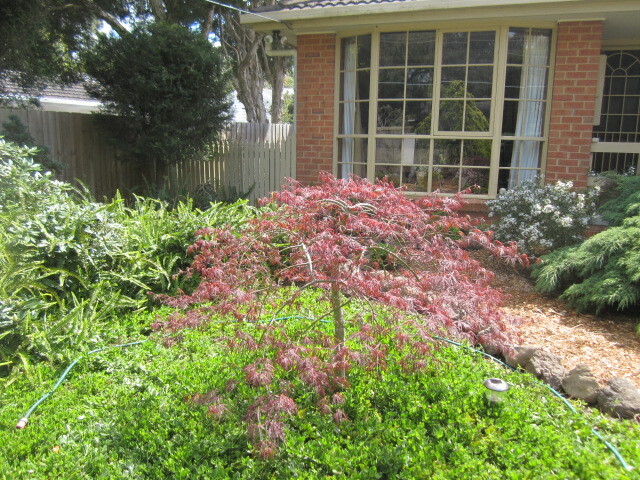 My three gorgeous weeping Japanese maples (inaba shidare) are flourishing in the front garden. 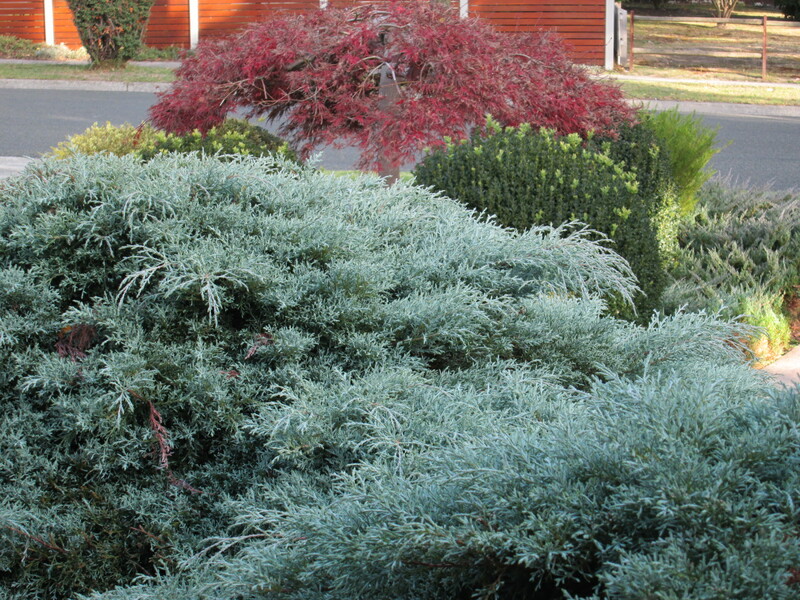 These three specimen trees are the most expensive items out there, but I think it’s nice to have either one or a few feature trees or plants in a garden. 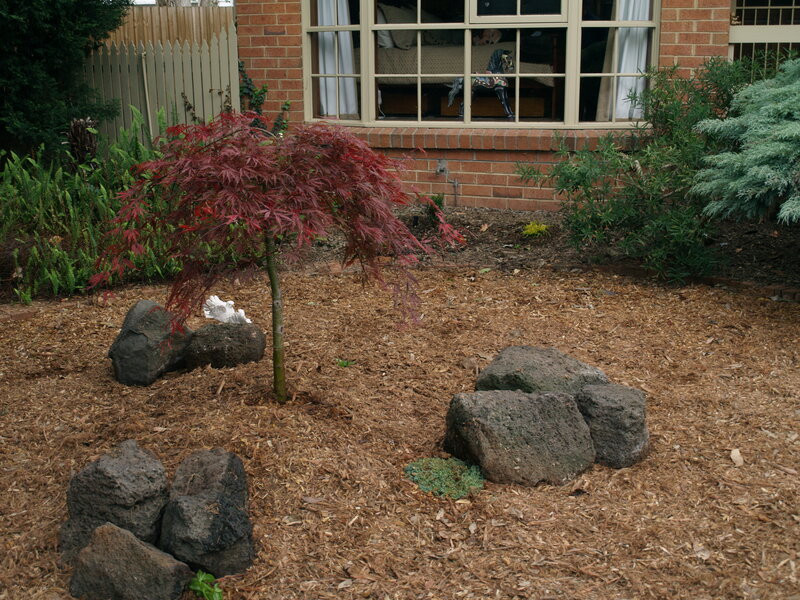 It can take an ordinary or average garden into another sphere. But think carefully before buying. 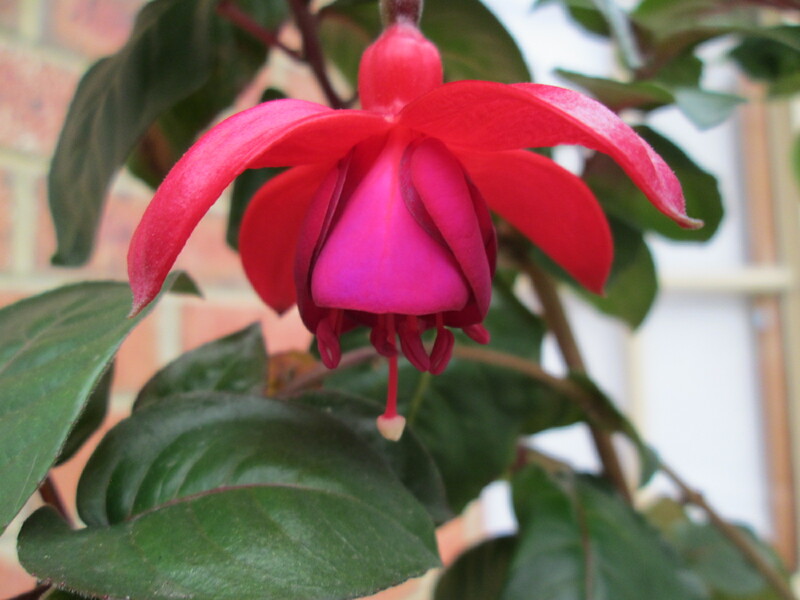 Make sure that plant will be in the best position for optimal growth, and don’t plant anything too near it that could spoil the look. I think our first-ever maple is my favourite, but I won’t say it out loud in case the others are disappointed. This one has a majestic quality that the others don’t have, making it perfect for princessprattles I think. Then this morning I had a pleasant surprise. As I came outside, there were two ladies standing on the footpath with a camera. 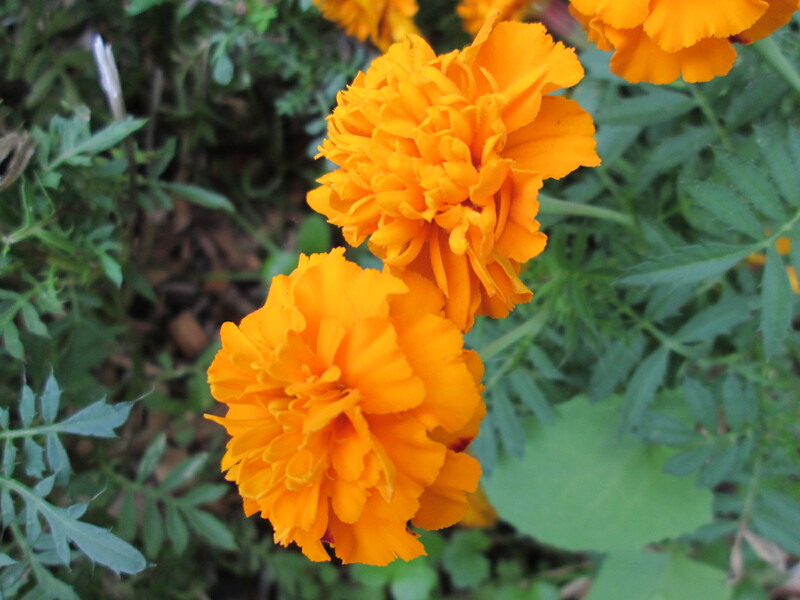 It transpired that they loved my garden and were taking some photos. Did I mind? Of course not. I love compliments, and to receive one like this makes me all warm and fuzzy. Since I put a lot of work into my garden it is especially nice to hear. Thank you ladies, if you happen to read my blog, because naturally I mentioned it to them! 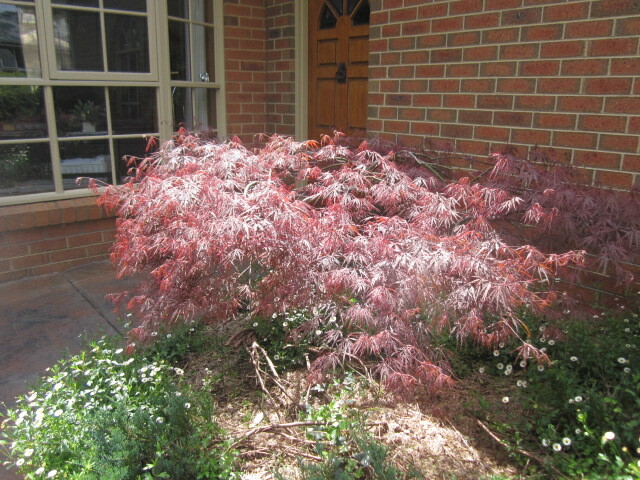 Our three weeping Japanese maples in the front yard have been telling me that autumn really is here. 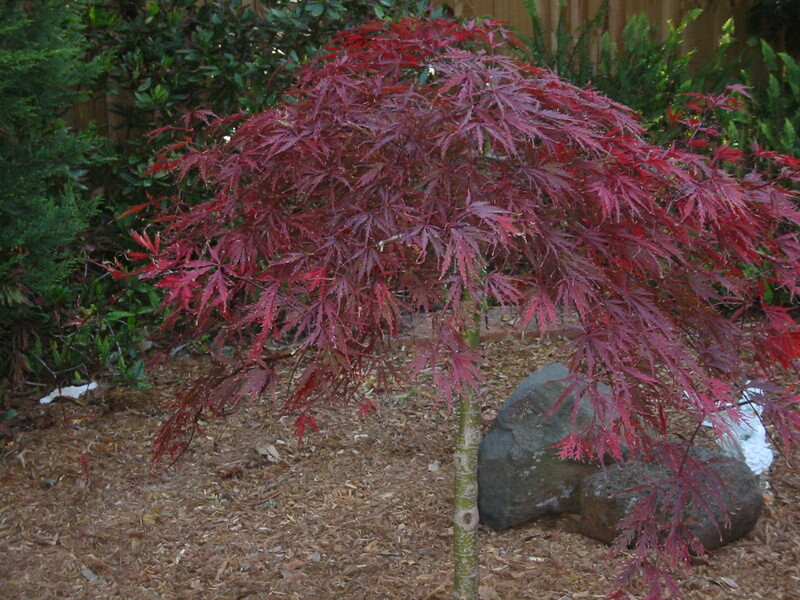 Inaba Shidare is the Latin name for this beautiful specimen, which is also known as a laceleaf Japanese maple. It’s funny how they can be at differing stages of colours even though they are the same variety. Perhaps it’s the placement in the garden? One is in a more protected position, nestled against the garage wall, while the other two are in a more open area. 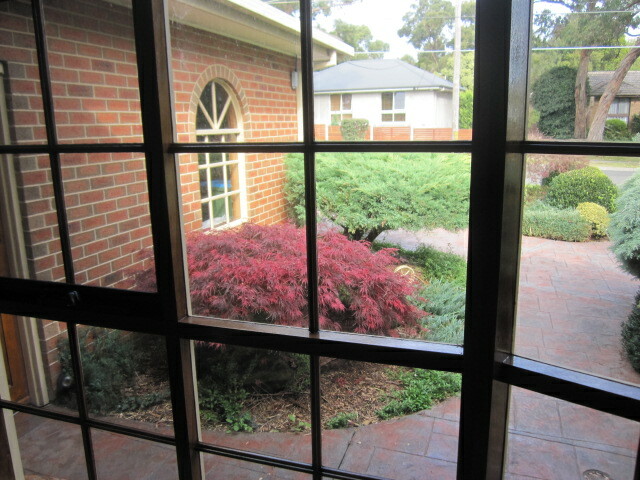 The colours can seem to change depending on the time of day also. 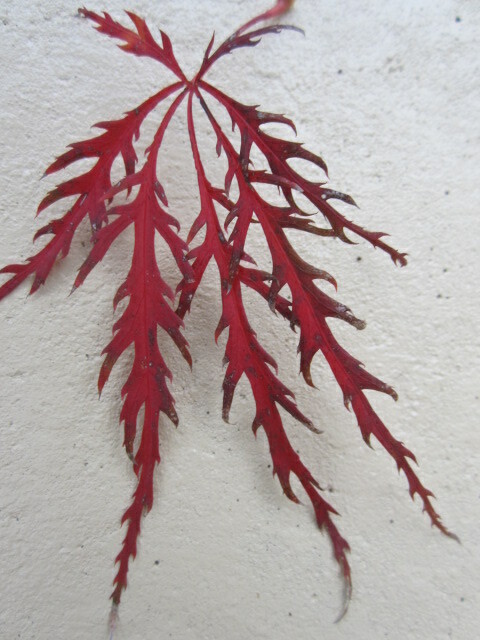 When the sun is shining on the leaves there is an added vibrancy. 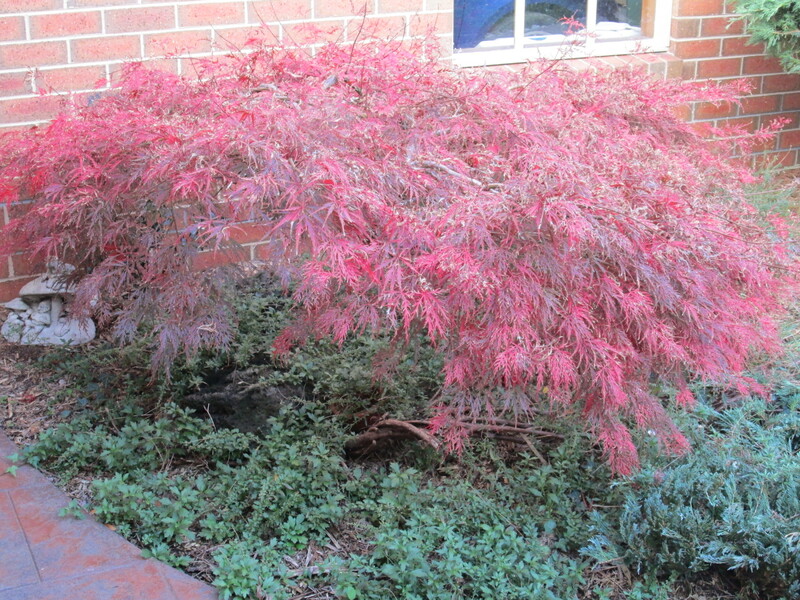 With colours ranging from crimson through to burgundy I love these trees most during autumn. Partly the result of the severe drought, and extreme temperatures reaching 40 degrees celsius, my rhododendron’s leaves were burnt and I was sad. The evergreen alder out the back didn’t survive, either. 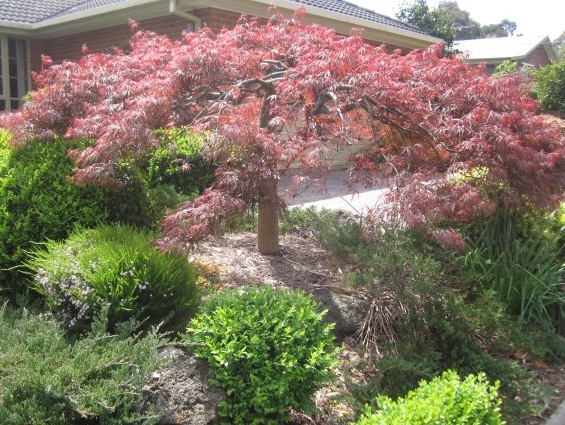 But when many people lost their houses and lives in the Black Saturday bushfires, which ripped through Victoria in February 2009, I felt ashamed that I was worried about my plants. My daughter’s partner’s aunt and uncle perished in the fires at Steels Creek, a fact which made me realise how lucky we were to be alive. Tears are sneaking down my face as I remember that sad time. Tragedies help you put your own life in perspective. Let’s treasure every day. 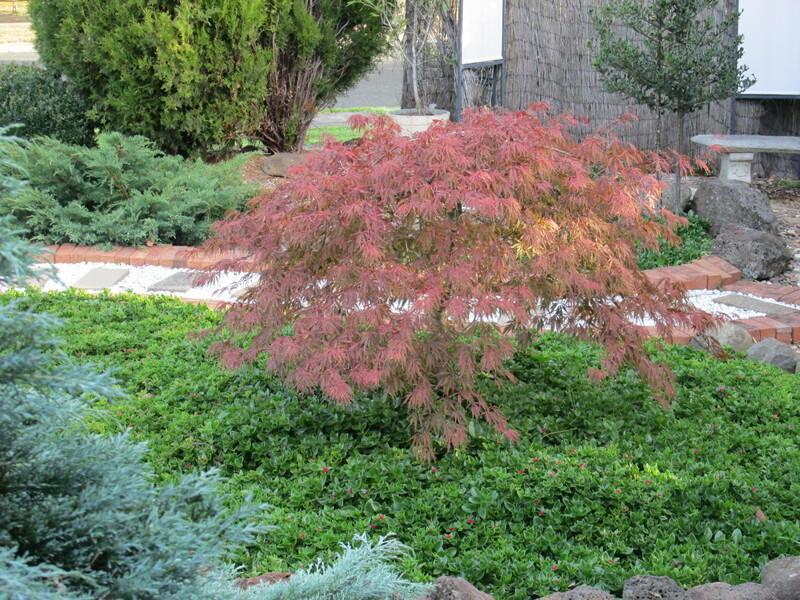 Back to the garden: drastic water restrictions were in place, so the lawns were dying as well as trees, flowers and shrubs. 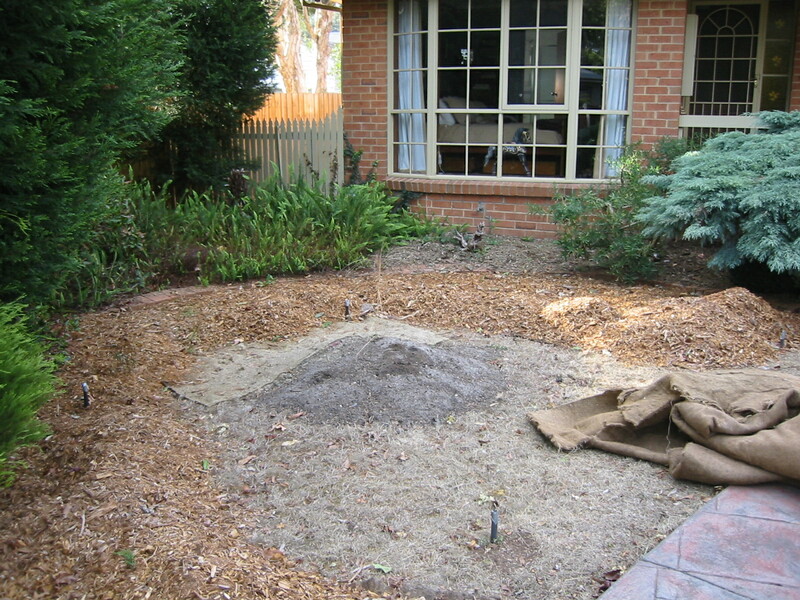 In April I decided to get rid of the front lawn and mulch it instead. 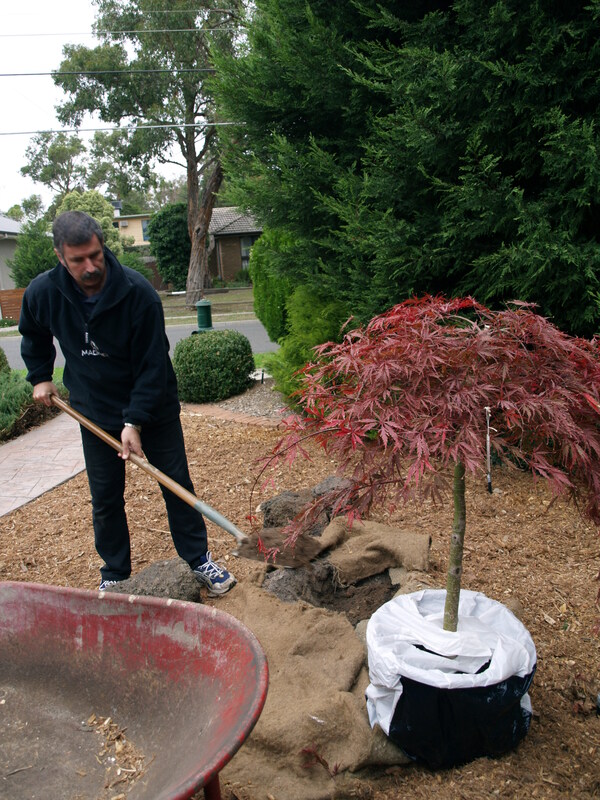 We planted a third weeping Japanese maple (Inaba Shidare) as a special feature tree in the centre.